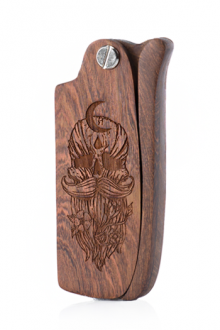 Hand finished pocket comb made of sandalwood. 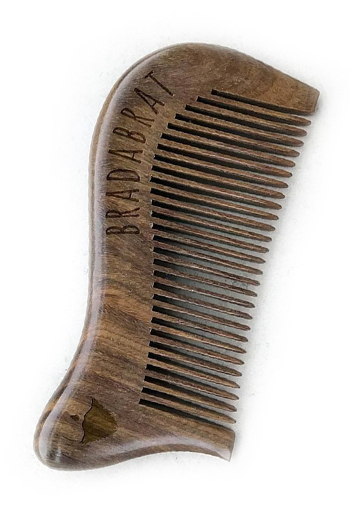 Comfortable with its pocket size, the wooden comb for beard BRADABRAT COMB „М“ is with unique design and curve, which gives it nice grip and a beautiful form. 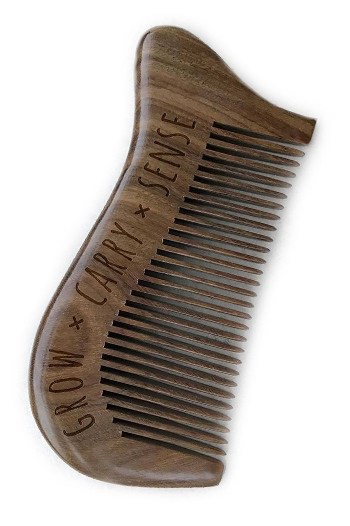 The comb is with smooth teeth and does not electrify the hair, which decreases the harm caused by static electricity. Made of Sandal tree, which structure is fine and dense. The only tree in the world that emits a typical natural aroma of a jasmyn, violet, rose and even a musk note. It does not harm the scalp, the hair follicle, the hair roots, it absorbs and evenly distributes the sebum over hair and scalp. It has a stimulating and massaging effect, which betters blood circulation. The combs are finalized by hand and every piece has its unique color. The wooden structure is moderately smooth. The shine is natural and varies from mild to strong. Made of bamboo, it unbraids the hair and eases brushing. Comfortable everyday, this T-shirt will quickly become one of your favorite! Handy and precise with leather protective cover, suitable for home use! Freshly nourishing and moistening the root balm, that soothes the skin and leaves it well hydrated. Convenient to carry, this roll will collect all the necessary accessories for the good shape and look of your beard! !!! Products inside are not included! 5pcs. unique BRADABRAT fan sticker! A rich and refreshing beard oil designed to inspire and stimulate.